Get ready for a full day of sightseeing on the 26th (Mon): take in the views from Golden Gate Bridge, step off the mainland to explore Alcatraz Island, and then take a stroll through Fisherman's Wharf. To see reviews, ratings, where to stay, and more tourist information, refer to the San Francisco online road trip planner . Perth, Australia to San Francisco is an approximately 25-hour flight. Traveling from Perth to San Francisco, you'll gain 16 hours due to the time zone difference. Expect a bit cooler temperatures when traveling from Perth in November; daily highs in San Francisco reach 20°C and lows reach 12°C. Wrap up your sightseeing on the 27th (Tue) to allow time to drive to Yosemite National Park. Step out of the city life by going to Glacier Point and Panorama Trail. Spend the 29th (Thu) exploring nature at Elizabeth Lake, Yosemite National Park. 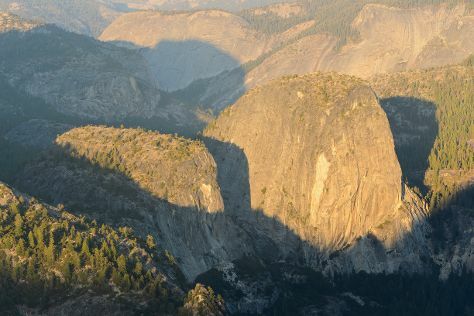 There's lots more to do: hike along Tuolumne Meadows, get advice or help at Yosemite Conservation Heritage Center, explore the striking landscape at Sentinel Dome, and don't miss a visit to Olmsted Point. To find reviews, other places to visit, traveler tips, and more tourist information, refer to the Yosemite National Park trip planner . Traveling by car from San Francisco to Yosemite National Park takes 4 hours. Alternatively, you can take a bus; or do a combination of subway, flight, bus, and taxi. When traveling from San Francisco in November, plan for a bit cooler days in Yosemite National Park, with highs around 14°C, while nights are much colder with lows around -8°C. Finish up your sightseeing early on the 30th (Fri) so you can travel to Anaheim. 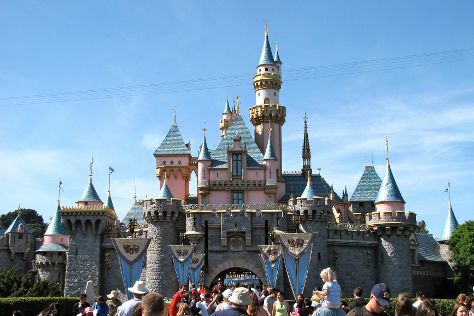 Start off your visit on the 1st (Sat): discover the magic at Disneyland Park. To find other places to visit, reviews, traveler tips, and more tourist information, read Anaheim trip planner . You can do a combination of car, flight, and bus from Yosemite National Park to Anaheim in 5 hours. Alternatively, you can drive; or do a combination of taxi, bus, and flight. Traveling from Yosemite National Park in November, things will get much hotter in Anaheim: highs are around 29°C and lows about 13°C. Wrap up your sightseeing on the 1st (Sat) to allow time to travel to Las Vegas. 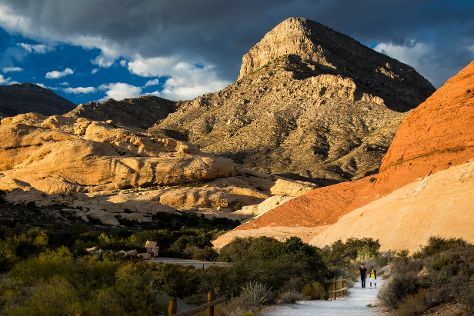 Start off your visit on the 2nd (Sun): take in panoramic vistas at Eiffel Tower Experience at Paris Las Vegas, then admire the local landmark of Bellagio Fountains, and then immerse yourself in nature at Red Rock Canyon National Conservation Area. To find where to stay, reviews, traveler tips, and other tourist information, refer to the Las Vegas trip itinerary maker site . Do a combination of bus and flight from Anaheim to Las Vegas in 4 hours. Alternatively, you can drive; or do a combination of train and flight. Expect a bit cooler temperatures when traveling from Anaheim in December; daily highs in Las Vegas reach 16°C and lows reach 4°C. Cap off your sightseeing on the 2nd (Sun) early enough to travel to Grand Canyon National Park. Get outdoors at Rim Trail and Grand Canyon National Park. On the 4th (Tue), hike the day away at Bright Angel Trail. Next up on the itinerary: explore the stunning scenery at Grand Canyon South Rim, get great views at Yaki Point, appreciate the history behind Powell Point, and admire the striking features of Lookout Studio. To find ratings, other places to visit, reviews, and other tourist information, read our Grand Canyon National Park trip website . Traveling by combination of car and flight from Las Vegas to Grand Canyon National Park takes 4.5 hours. Alternatively, you can drive; or take a shuttle. Due to the time zone difference, you'll lose 1 hour traveling from Las Vegas to Grand Canyon National Park. Expect slightly colder weather when traveling from Las Vegas in December: highs in Grand Canyon National Park hover around 8°C, while lows dip to -11°C. Wrap up your sightseeing on the 6th (Thu) to allow time to travel to Yellowstone National Park. Bring the kids along to Hayden Valley and Gibbon Falls. 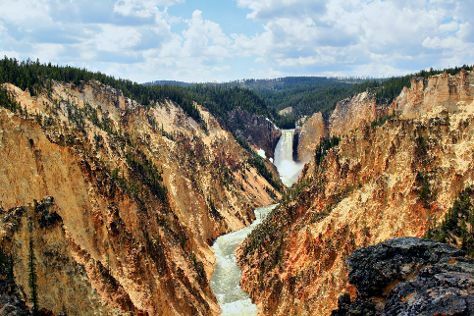 Escape the urban bustle at Grand Canyon of the Yellowstone and Beryl Spring. Spend the 8th (Sat) exploring nature at Yellowstone National Park. There's lots more to do: explore the striking landscape at Lower Geyser Basin, explore the wealth of natural beauty at Artists’ Paintpots, take in the natural beauty of Upper Geyser Basin, and get great views at Lookout Point. For traveler tips, ratings, photos, and other tourist information, you can read our Yellowstone National Park day trip site . You can do a combination of bus, flight, and car from Grand Canyon National Park to Yellowstone National Park in 10.5 hours. Other options are to do a combination of bus, flight, and taxi; or take a bus. While traveling from Grand Canyon National Park, expect cooler days and slightly colder nights in Yellowstone National Park, ranging from highs of -5°C to lows of -19°C. Wrap up your sightseeing on the 10th (Mon) early enough to drive to Jackson Hole. 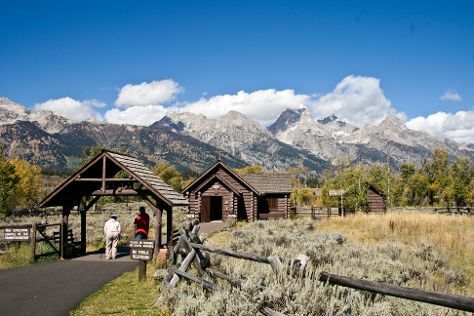 Start off your visit on the 11th (Tue): take in the awesome beauty at Grand Teton. To find other places to visit, reviews, more things to do, and other tourist information, refer to the Jackson Hole trip planning app . Traveling by car from Yellowstone National Park to Jackson Hole takes 2 hours. In December in Jackson Hole, expect temperatures between -3°C during the day and -16°C at night. Wrap up your sightseeing on the 11th (Tue) to allow time to travel back home.